North American Shirts – we offer a huge selection of environmentally friendly North American shirts available in all sizes. Our Black Bear shirts are made of 100% preshrunk cotton. Made with USA grown cotton, environmentally friendly and printed with water-based inks. 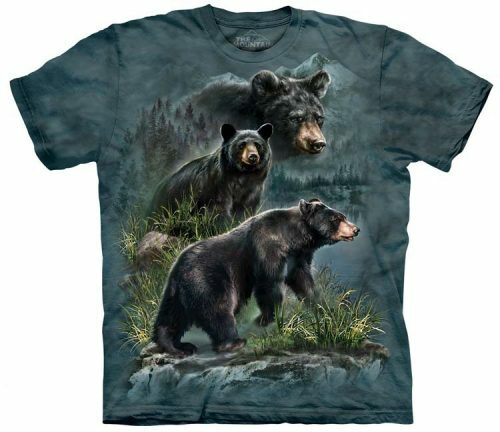 This Black Bear shirt is available in sizes small through 5XL. Not sure what size you should buy? Click here for our Size Chart, and choose your Black Bear shirt size below. 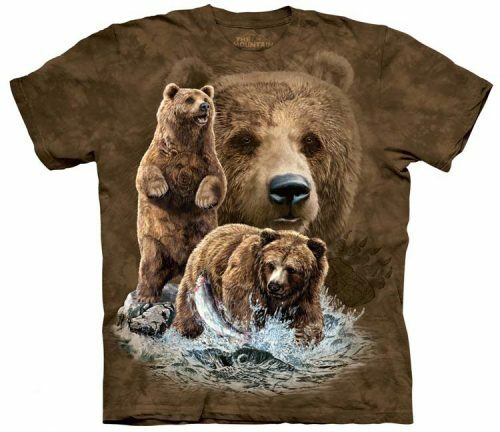 Our Brown Bear shirts are made of 100% preshrunk cotton. Made with USA grown cotton, environmentally friendly and printed with water-based inks. 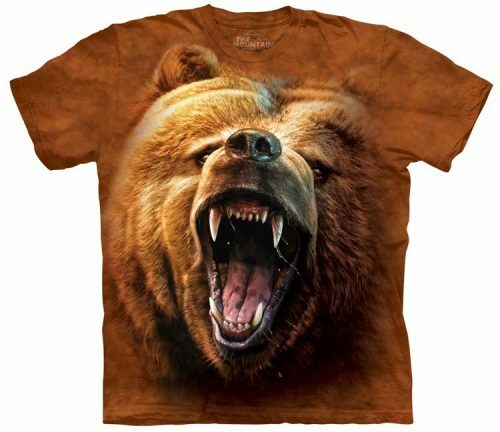 This Brown Bear shirt is available in sizes small through 5XL. Not sure what size you should buy? Click here for our Size Chart, and choose your Brown Bear shirt size below. Our Buffalo shirts are made of 100% preshrunk cotton. Made with USA grown cotton, environmentally friendly and printed with water-based inks. 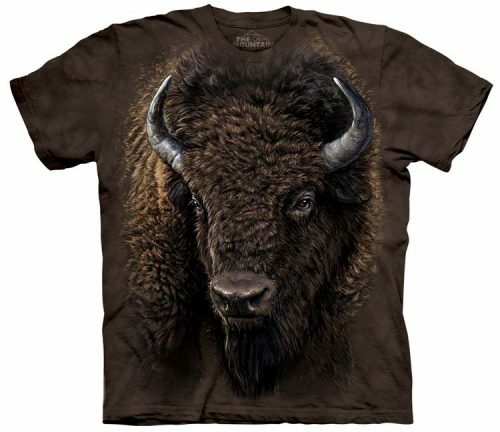 This Buffalo shirt is available in sizes small through 5XL. Not sure what size you should buy? Click here for our Size Chart, and choose your Buffalo shirt size below. 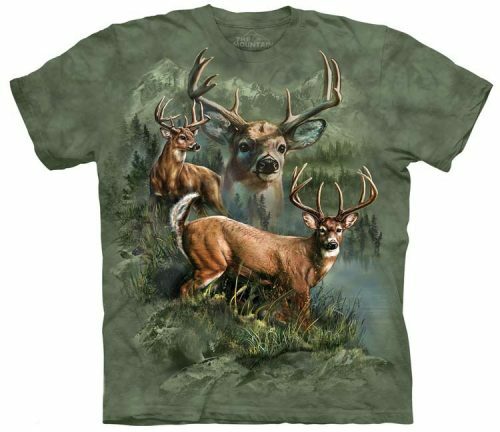 Our Deer shirts are made of 100% preshrunk cotton. Made with USA grown cotton, environmentally friendly and printed with water-based inks. 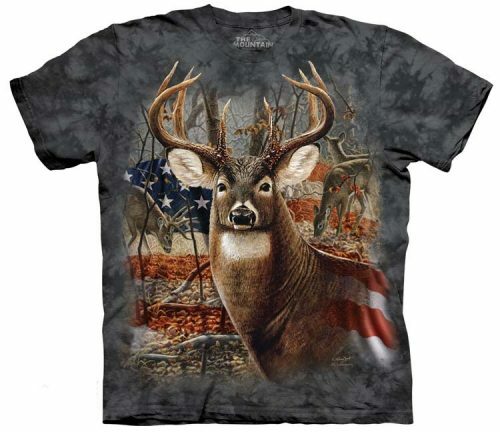 This Deer shirt is available in sizes small through 5XL. Not sure what size you should buy? Click here for our Size Chart, and choose your Deer shirt size below. Our Elk shirts are made of 100% preshrunk cotton. Made with USA grown cotton, environmentally friendly and printed with water-based inks. 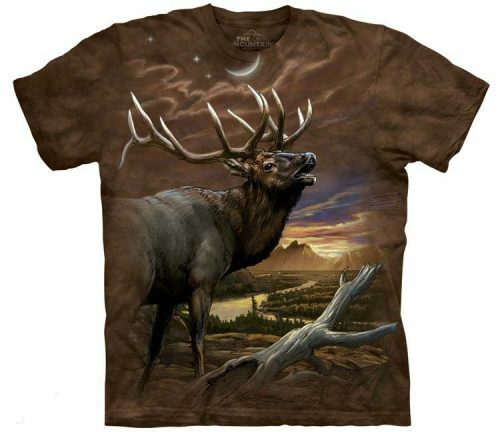 This Elk shirt is available in sizes small through 5XL. Not sure what size you should buy? Click here for our Size Chart, and choose your Elk shirt size below. Our Fox shirts are made of 100% preshrunk cotton. Made with USA grown cotton, environmentally friendly and printed with water-based inks. 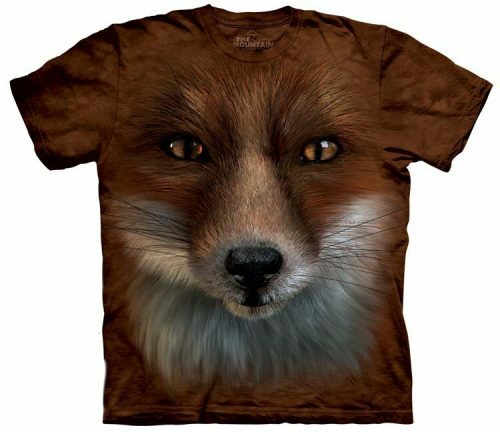 This Fox shirt is available in sizes small through 5XL. Not sure what size you should buy? Click here for our Size Chart, and choose your Fox shirt size below. 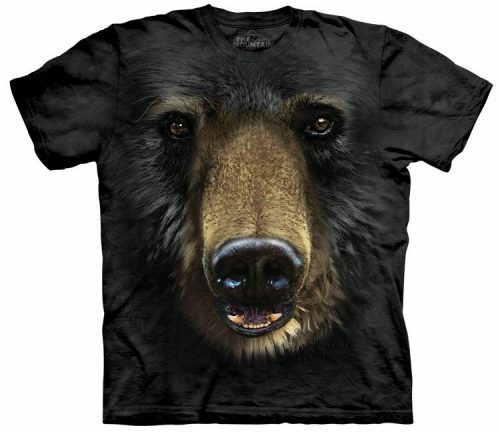 Our Grizzly Bear shirts are made of 100% preshrunk cotton. Made with USA grown cotton, environmentally friendly and printed with water-based inks. 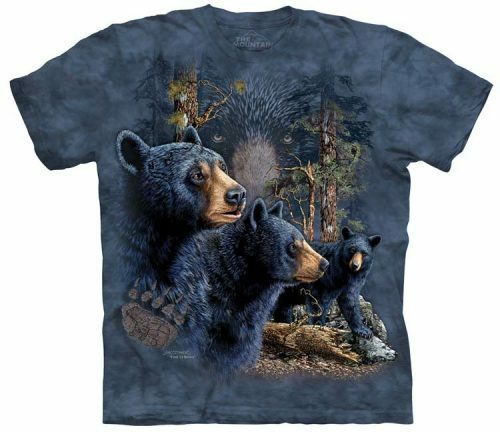 This Grizzly Bear shirt is available in sizes small through 5XL. Not sure what size you should buy? Click here for our Size Chart, and choose your Grizzly Bear shirt size below. Our Moose shirts are made of 100% preshrunk cotton. Made with USA grown cotton, environmentally friendly and printed with water-based inks. 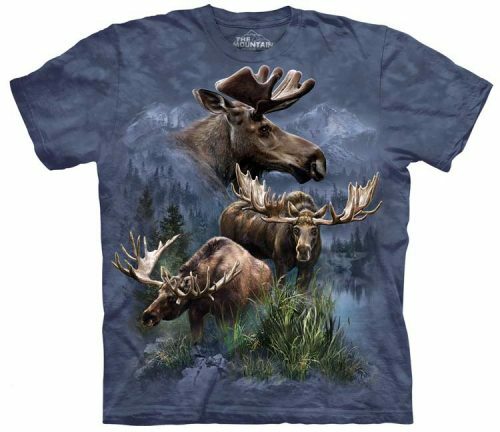 This Moose shirt is available in sizes small through 5XL. Not sure what size you should buy? Click here for our Size Chart, and choose your Moose shirt size below. Our Northern Wildlife shirts are made of 100% preshrunk cotton. Made with USA grown cotton, environmentally friendly and printed with water-based inks. 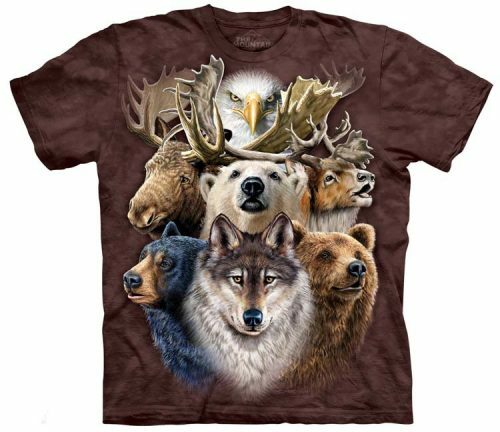 This Northern Wildlife shirt is available in sizes small through 5XL. Not sure what size you should buy? Click here for our Size Chart, and choose your Northern Wildlife shirt size below. Our Raccoon shirts are made of 100% preshrunk cotton. Made with USA grown cotton, environmentally friendly and printed with water-based inks. 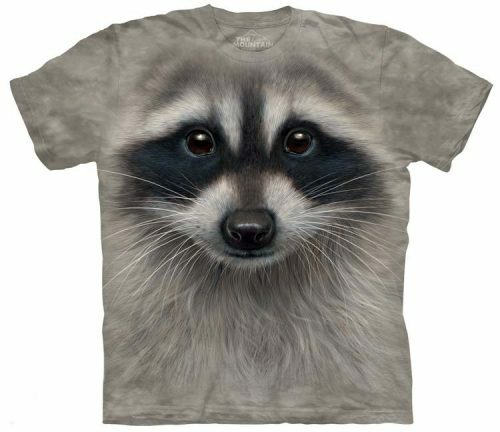 This Raccoon shirt is available in sizes small through 5XL. Not sure what size you should buy? Click here for our Size Chart, and choose your Raccoon shirt size below. 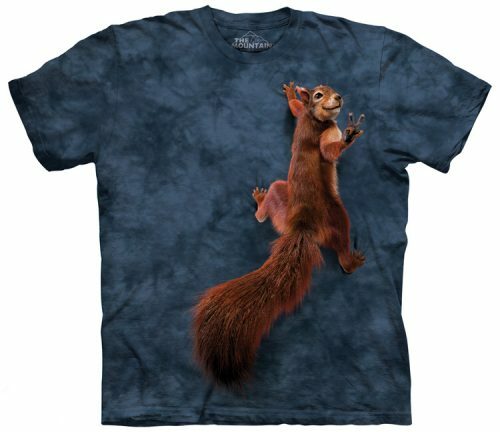 Our Squirrel shirts are made of 100% preshrunk cotton. Made with USA grown cotton, environmentally friendly and printed with water-based inks. 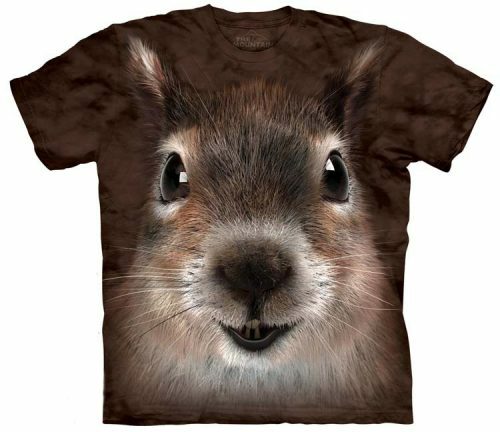 This Squirrel shirt is available in sizes small through 5XL. Not sure what size you should buy? Click here for our Size Chart, and choose your Squirrel shirt size below.